Take a quiz to prove that you can type 25 words or more per minute with accuracy. If you earned this certificate through Mavis Beacon already, show your instructor that! Teknimedia if you have access. If you do not have access to Teknimedia, use Mavis Beacon if you have access. 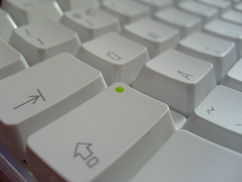 If you do not have access to any of these, use this outside free resource: Learn To Type. Stay focused on the lesson! Reminder: Close a window by selecting the X on top of the window you wish to close. Have proven that you can type 25 words or more per minute with accuracy, give that to your instructor and proceed to Navigation. Did not earn evidence of successful completion, proceed to Keyboard Lesson.